Another related insight that Dr. Wahls describes is that our conventional medical system is much more focused on fighting symptoms than on actually getting to the root cause of disease. Diseases are described not based on the unseen biochemical workings that have gone awry, but rather on symptoms, which are readily apparent. Billions are spent on medical research to find drugs that control symptoms, but very little money or attention is paid to how to actually restore the underlying biochemistry, which is the actual foundation of health. In an autoimmune disease, the immune system, whose role is to attack invading dangers such as viruses, begins to attack the body itself instead. Conventional Western medicine deals with this by prescribing drugs which weaken the immune system, so it cannot attack the body as aggressively. However, in doing so the drugs weaken or harm other parts of the body as well, leading to often severe side effects. In addition, blocking the immune system does nothing to address WHY it is attacking the body in the first place, and so it cannot truly solve the problem. As Dr. Wahls’s MS continued to worsen, even as she pursued the best conventional medical care, she realized that she needed a better solution. One step towards this solution was her discovery of functional medicine. This is a medical philosophy similar to integrative medicine, in which “conventional” Western and “alternative” therapies are combined, and there is more focus on the health of the whole person rather than on isolated symptoms. Functional medicine strives to calm a hyperactive immune system by altering the environment of the body, rather than simply tamping it down afterwards with pharmaceuticals. This can be done by making sure the body has all the nutrients it needs, and that harmful things (such as allergens and toxins) are removed. Multiple sclerosis attacks the nervous system, and from functional medicine Dr. Wahls learned that the B vitamins, omega-3 fatty acids, iodine, sulfur, and antioxidants are all required for the healthy functioning of the nervous system. She also scoured the latest medical research into MS (and similar diseases that shrink the brain) and discovered a variety of substances being studied: coenzyme Q10, creatine, and fish oil. She started out by taking supplements for all of these nutrients, but then realized that all of these substances are also found in foods, and so she began to develop her diet plan. By getting these nutrients from food she would also be getting the countless yet-unknown substances that are in whole foods, and they would be more easily assimilated from their natural state. She had declined for seven years while being treated with conventional medicine, but within months of starting her diet plan her decline was not only halted, but reversed. Within a year she could walk without a cane and go on long bike rides– and all from a diet designed simply to support her cells. One thing I really like about the Wahls Protocol diet is that it has three different levels, depending on how intensive of a treatment one wants, needs, or can manage. The first level (The Wahls Diet) calls for 9 cups of fruits and vegetables a day, cutting out gluten, dairy, and eggs, and getting high quality protein. Vegetable oil, refined sugar, and diet soda are also discouraged. The first level is accessible to vegetarians, as non-gluten grains and legumes can be protein sources. Dr. Wahls was a long-time vegetarian, and I appreciate that she accommodates that choice. She does however make her case that being vegetarian for health reasons is counterproductive and should be reconsidered. Building from the first level, the second level (Wahls Paleo) further cuts non-gluten grains, legumes, and potatoes to minimal levels. It calls for 9-12 oz of animal protein per day, which, among other things, is an excellent source of essential fatty acids, glucosamines, glutamine, and a balanced amino acid profile. In addition, this level adds seaweed/algae and organ meats, which are both rich sources of nutrients that can be hard to get from other sources. Organ meats such as liver are some of the most nutrient-dense foods available, containing plentiful vitamins A, D, E, K, and B vitamins. They also contain plentiful Coenzyme Q10, and creatine, two of the first substances that Dr. Wahls discovered in her initial research and began taking supplements for. Seaweed/algae contains many minerals that are often lacking, as well as iodine, which supports nerve health and toxin removal. The Wahls Paleo level also adds fermented probiotic foods and more enzyme-rich raw foods. The final level (Wahls Paleo Plus) is the most intensive. It is a ketogenic diet, which means that it is very low in carbohydrates, so the body burns fat instead of sugars. Ketogenic diets have shown great results at promoting health; they are most well established as a treatment for epilepsy. At this diet level the vegetable consumption goes down to six cups per day, meat intake is reduced, and all grains, legumes, and potatoes are out. Starchy vegetables are limited. So what takes the place of all that? Fat! The majority of calories come from fat at this level: mostly coconut fat. Coconut fat is unique in that it contains lots of medium chain triglycerides, MCTs. These fat elements allow one to be in ketosis (burning fat) even when there is a fair amount of carbohydrate consumed from vegetables. Thus, unlike some ketogenic diets where vegetables are sharply limited, this one is still very nutrient-rich. This level also uses periods of fasting of at least 12 hours, which boosts cell efficiency and allows time for healing, detox, and re-calibration of the body. This diet is recommended for those who want or need the most intensive treatment, particularly for psychiatric problems, neurological problems, neurodegeneration, cancer risk factors, obesity, and other symptoms that do not diminish at the other levels. The greens provide B vitamins, especially folate, which is needed to restore myelin, the nerve sheaths that are attacked in multiple sclerosis. Greens also provide minerals, vitamin C, and precursors to A and K: all needed to support the biochemical reactions in our cells. The colorful vegetables and fruits provide a huge variety of vital antioxidants. The many sulfur compounds found in the sulfur-rich vegetables help eliminate toxins, support the mitochondria in our cells, support the health of our joints, blood vessels, and brain, and have also been shown to fight cancer, dementia, and oxidative stress. She points out that all these vegetables also contain countless currently unknown phytonutrients and compounds, which is why simply taking a few vitamin supplements is not enough to restore health. Many features of Dr. Wahls’s diets, such as the restriction of grains, dairy, and legumes, are familiar from other similar-style diets, and she does not go into as much detail on these. She points out that gluten and casein (the structurally-similar proteins found in wheat and dairy) are associated with innumerable health problems in the medial literature. Food allergies and sensitivities are both hard to diagnose and much more common than currently recognized. She also cites the fact that gluten and casein increase dopamine and bind to the same receptors in the brain that opioid drugs bind to. This addictive tendency leads people to eat more, at the expense of more nutrient-rich foods. She notes that grains, legumes, and starchy vegetables should be limited because they are high in carbohydrates and thus can aggravate insulin resistance and increase inflammation. Grains and legumes also contain so-called antinutrients, which hamper the absorption of all the vital nutrients that this diet is trying to provide to the body. Antinutrients such as phytates, trypsin inhibitors, and lectins bind to minerals, impede protein digestion, and increase inflammation in the gastrointestinal (GI) tract. When grains, legumes, and nuts are consumed, Dr. Wahls recommends soaking or germinating them first to break down some of these substances. This is especially important for vegetarians who eat a lot of them. The protocol involves more than just diet, which I’ll just touch on. Dr. Wahls discusses avoiding toxins, detoxification, managing stress, journaling, exercise, whole body vibration, and E-Stim. (The latter two are treatments that are effective in building strength in MS patients.) She also discusses supplements and alternative therapies such as acupuncture, some of which she recommends and some she does not. The book is very informative and thorough, and she includes detailed food lists, meal plans, and nutrition content for each diet level. There are also some recipes, including ones for simple one-pot meals that she makes for her own family. One problematic aspect to her system is that it can seem very intimidating, even with the different diet levels. Even the idea of eating nine assorted cups of vegetables a day can seem like an impossibility, especially when someone is already dealing with poor health. Another barrier is that most doctors are unaware of the potential benefits of dietary interventions and thus are unlikely to advocate them or know how to support patients who wish to try them. Earlier I said that I would recommend this book to people with any chronic disease. I don’t believe this is an overreach, because, as Dr. Wahls points out, it is more and more recognized that the same malfunctioning biochemistry underlies a huge variety of disease. Chronic inflammation, (i.e. a hyperactive immune system,) is a factor in psychiatric disorders, heart disease, high blood pressure, stroke, cancer, obesity, and metabolic syndrome. This is in addition to the autoimmune disorders of MS, rheumatoid arthritis, lupus, psoriasis, ezcema, asthma, PCOS, type 1 diabetes, etc. As Wahls says: “What I see when I look at this picture is a very simple message: Your health and vitality are in your hands.” Again, it all comes down to the health of our cells: by caring for our cells and supporting the complex chemical reactions in our bodies, we can improve our health, no matter which symptoms we may have. Dr. Wahls is, of course, not the first one to develop such a diet. She gathered information and put together a treatment that healed her MS, but she was following in the footsteps of many previous doctors and practitioners. Because of her training and position, she had the tools and knowledge to study the relevant medical research, which led to her treatment plan. As she began to heal herself, she was then in a position to teach what she had learned to medical residents and patients. She could see first-hand how these diet and lifestyles changes helped her patients. Yet, she knew that she needed to do clinical trials to officially confirm her results before they would be accepted by the medical establishment. Fortunately she was in a position to design a clinical trial, write a grant, get funding, and get approval for her study. The first study began in October 2010, and they are ongoing. Clinical research is very time consuming, and her trials are still in early stages, with preliminary results only beginning to be published. She says results “continue to be very exciting” and that those who have seen the results continue to give funding. Thus, some of the greatest significance of her “protocol” comes from the fact that she is a prominent doctor, clinical professor, and researcher in mainstream medicine. The wonderful thing about her work is that she is one of the few researchers doing clinical trials examining this type of diet for autoimmune disease, and thus there is huge potential for her work to bring food-based treatments into our pharmaceutical-focused medical system. In many ways she faces an uphill battle. The pharmaceutical industry is one of the primary funding sources for medical research, and of course no drug company would benefit from her work. If you watch her TEDX talk from 2011, you will see that it has been flagged as “outside curatorial guidelines” because it is “health advice based on a personal narrative”. It is perplexing that they categorize her work as a “personal narrative” rather than the meticulously researched work of a medical doctor and researcher. You can read her response to this on her website, but she suggests that the sponsorship of TED by companies, including pharmaceutical companies, could be related. The reality is that diet-based approaches to health are outside of our medical mainstream, and her first published article (a feasibility study for a larger trial) was just published in The Journal of Alternative and Complementary Medicine. In spite of this being a respected peer-reviewed journal, the word “alternative” alone is enough to make many people dismiss it out of hand. And yet, as her trials and other trials continue to have success, it must only be a matter of time before such treatments become mainstream. Some may be put off by the branding of her medical treatment. It is “The Wahls Protocol”, “Wahls Paleo”, and even “Wahls Fudge”. This inevitably casts a shadow of bias and conflict of interest. It is something to keep in mind, but it is also important to remember that all of medicine is biased, even if it is not obvious. The status quo as well as institutions such as pharmaceutical companies have powerful influences on medical research. Bias is always something to consider but her work stands up to scrutiny, and she seems to have a genuine desire to spread a treatment that changed her own life. 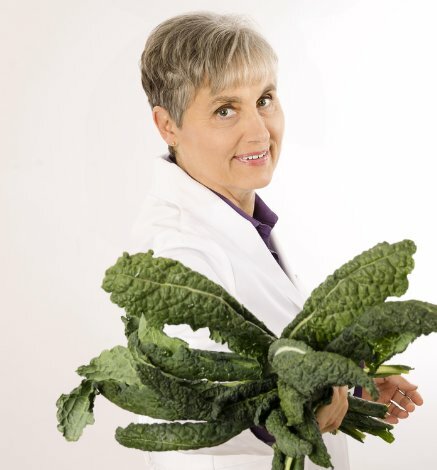 Dr. Wahls is determined to share what she has learned. “I will continue to do the research to deepen my understanding and publish those findings in peer-reviewed scientific journals, but I will also continue to teach people directly, because nobody should have to wait for information like this. Scientific inquiry is a long and complex process, often taking twenty to thirty years for proven successful treatments to become accepted clinical practice or the standard of care.” In the meantime, “consider what the people you love, your community, your country, and the world would look like if everybody began eating and living to optimally fuel their cells. We could restore health and vitality to the world”. Ultimately, it is this inspiring and powerful message that is at the center of this fascinating book. I’m disgusted by the label on the TEDX. Thank you for an excellent review on an excellent book! I agree, it’s incredibly frustrating to see that label on her discussion, which is drawn from so much published scientific research!